One of the biggest concerns I hear from parents of gifted children is where to find age-appropriate reading materials for their children. More often than not, one of the early signs of giftedness is being an advanced reader; like years and years advanced for their age. This poses a significant problem for parents because very young children ‘can’ read books which are simply too mature for them. I speak from the voice of experience. If my parents had paid attention to what I was reading in elementary school, they would have been appalled. Fortunately or not for me, they rarely took the time to check out the books on my nightstand. I developed a view of the world which was … shall we say – not shared by my age-mates; or even my teachers, for that matter. When my own kids started reading, I did pay attention (to their chagrin). However, many people would say I was pretty liberal in what they were allowed to read. It was a constant struggle to find appropriate books at their reading level. Many factors play a role in the search for reading materials for advanced readers. Asynchronous development can mean that a very young child will comprehend reading material well beyond what is considered appropriate for their age. A gifted child’s interests and sensitivities may influence books they choose to read. Books deemed age-appropriate for most children will lack the depth these children crave. Reading patterns found in gifted readers can differ from those of typical readers. Often self-taught, these kids start reading earlier than their age peers and demonstrate deeper comprehension of what they read. It is important, however, to respect the developmental process and allow a child to enjoy reading at various levels. Parents should resist the urge to ‘push’ a child to read advanced literature simply because they excel in other academic areas; but, at the same time, be aware of the need to provide appropriate materials when ready. Reading to children is an important role to be played by parents even after children are reading well on their own. Reading aloud is essential for pronunciation of words and sharing more precise or alternate definitions than those gleaned from context. The importance of emotional bonding that occurs when adults read to children cannot be over-stated. I will always cherish the time spent reading to my children. Several months ago, I was made aware of a publisher, Tumblehome Learning, who offered books for advanced readers. I was intrigued by a particular title … TheWalking Fish. 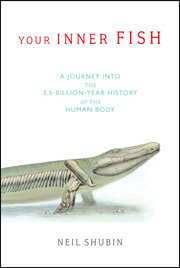 As a huge fan of Neil Shubin’s Your Inner Fish (Free full version pdf) which traces the discovery Tiktaalik – the first known fish to walk on land –I knew I wanted to read this book. When notified of its impending release, I immediately accepted the opportunity to review a copy from the publisher. I was not disappointed! Where had this publisher been when my children were young? Even as an adult, I found The Walking Fish engaging, informative and a source of valuable life lessons. It also serves as an excellent introduction for younger readers into the realm of STEM related subjects. After reviewing the book on Amazon, the publisher asked if I would be interested in any of the books in their Galactic Academy of Science series. This series, very similar to The Magic Treehouse Books, is about characters that experience time travel to solve mysteries. The depth of knowledge conveyed in the books I’ve read and the quality of titles available from Tumblehome Press allows me to highly recommend* them as a choice publisher for parents of advanced readers. Parenting gifted kids can be a daunting task, but the right tools can make any job much easier. Helping you find these tools plays a major role in why Gifted Parenting Support exists. If you have found other sources of great materials for advanced readers, please comment below. Portions of this post were previously published here. *It’s important to note that there are no affiliate ads in this post and I have received no compensation for this endorsement from the publisher. I simply believe they offer high quality products to be considered by parents and teachers of gifted children. You are very welcome, Rebecca! You are very welcome! I remember those days when my own children were younger. 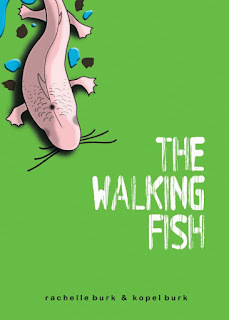 Thank you so much for these great links as well as your recommendation of The Walking Fish. I recently realized that being gifted means my child doesn't think like many other children, so I feel like a whole new world just opened up to me. I feel like I finally understand my child. Thanks again for this wealth of information!! What an exciting time for you! Good luck on your journey!